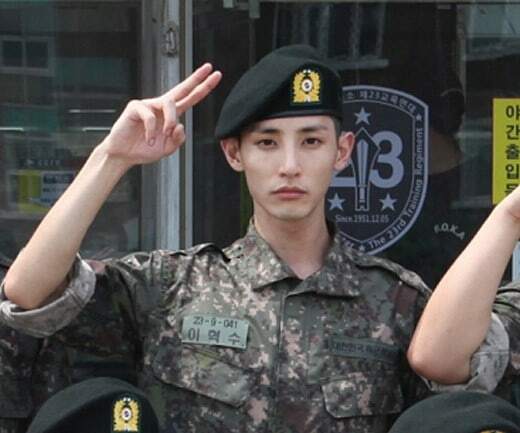 Lee Soo Hyuk Has Enlisted?! When scrolling down my twitter timeline today while crying internally over my poor favorite group, I stumbled upon a tweet about the new photo of Lee Soo Hyuk in his training camp. I was so shocked because I didn’t know he enlisted on August 10th. Am I the only one who doesn’t know this? I feel extremely guilty for that. Definitely going to dedicate 2 whole days to write all those dramas and movies reviews. I’m not a super speedy person when it comes to making review. Just like what I said on one of my recent posts, I just can’t finish one review in less than one week if I want to pour all of my emotions and heart into it. I need more than just one week. And another variable is, I’m a busy person in real life. 24 hours a day is never enough for me so for me to sit down and jot down all of my thoughts after watching a movie/drama is pretty hard. I don’t have much leisure time to sit and write a review. If I do have a littleeeeee time, I just queue tons of Quote of the Week and appreciation posts just to make sure that my blog won’t get dusty lol. I hope you guys enjoy my blog so far. Reviews of all movies and dramas mentioned above will definitely be posted on this blog someday even though I still don’t know when but definitely going to be posted here.